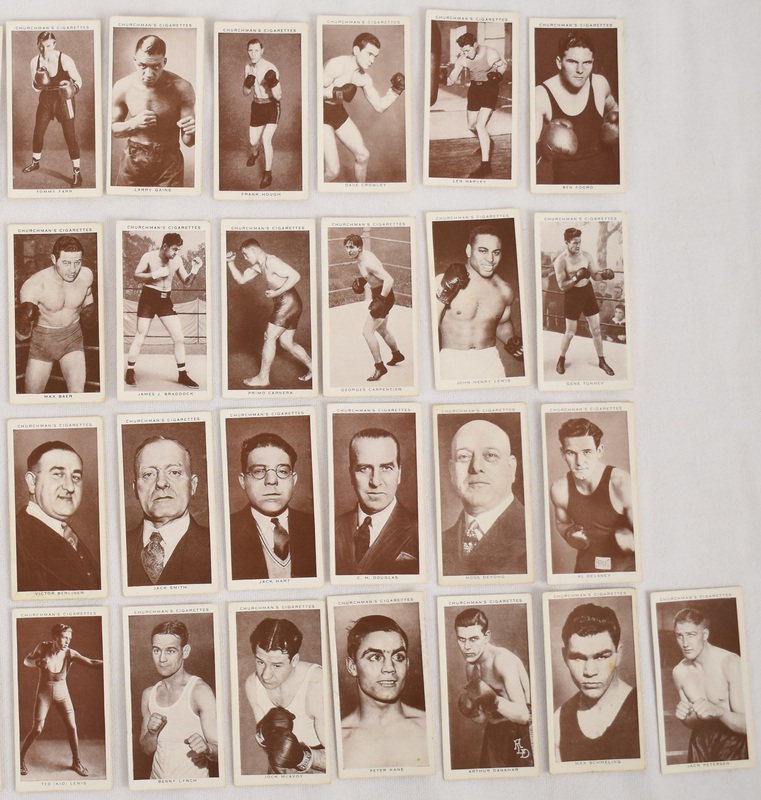 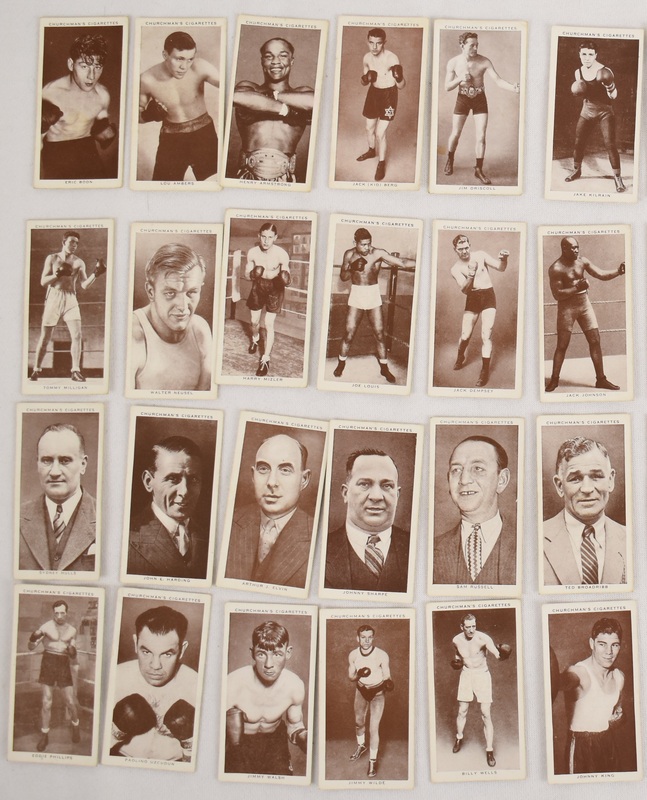 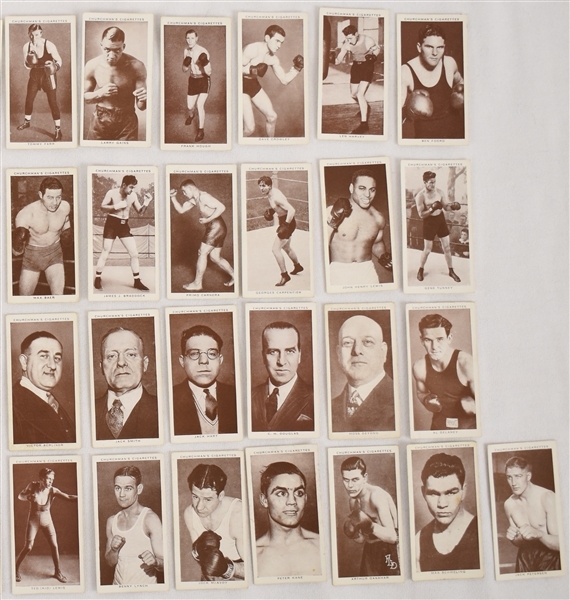 Vintage 1938 Churchman Boxing Personalities boxing card set of 50 cigarette cards including legends: Jack Dempsey, Joe Louis, Max Baer, James J. Braddock, Primo Carnera, Jack Johnson, Max Schmeling, Gene Tunney and John Henry Louis, among others. 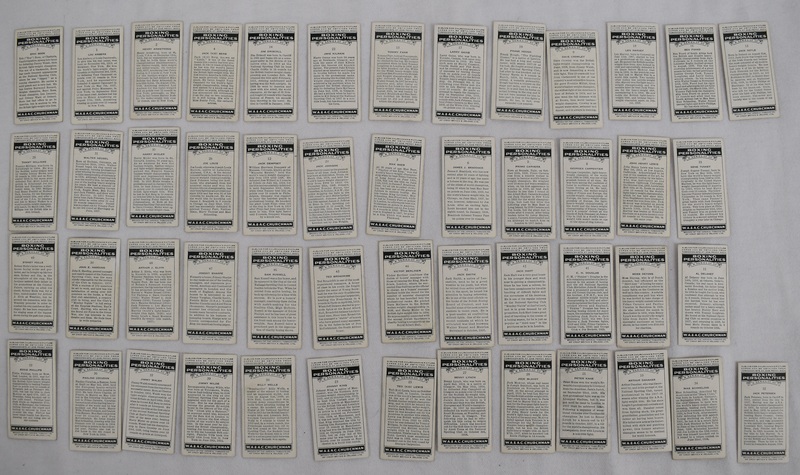 The set is in VG/EX-Ex/Mt condition overall. 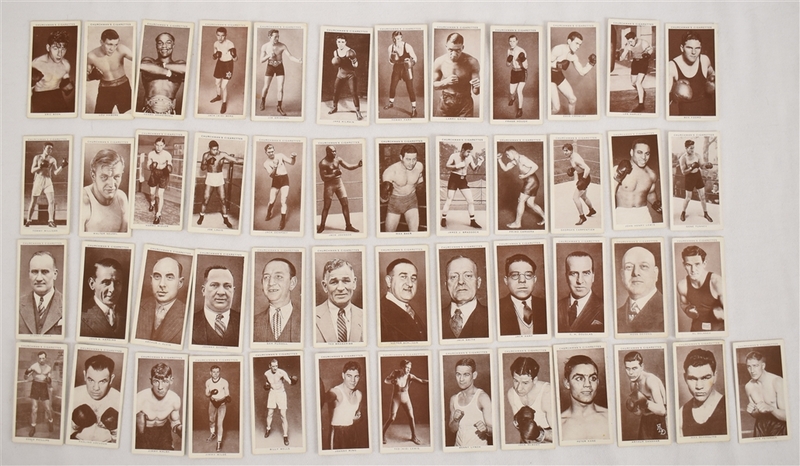 Great boxing collection.